Is our entire universe electrically charged? Do electric magnetic fields shape our entire universe instead of gravity as previously thought? If this is true it explains how dark matter works and that even our sun could even be electrically charged liquid instead of a nuclear combustion. Anyway enjoy the video it explains alot in great detail and from what I understand they have a conference coming up about this at the end of the month. In recent decades, the Sun has come to life in remarkable ways It’s no longer possible to consider this body in electrically neutral terms. It’s attributes require an external electric field. “Challenge yourself, your peers, your teachers. Participate in a revolution in science and human evolution. Watch this film and in an hour know more than most NASA scientists about the fundamental force that forms and sustains the universe. 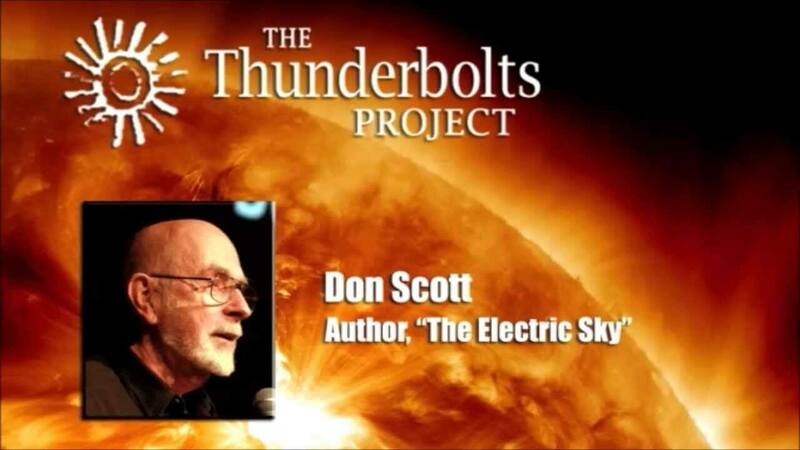 Visit – http://www.thunderbolts.info/ – to purchase the DVD andor “Thunderbolts of the Gods” monograph (book), – to view higher resolution sequences from the film (with stereo sound), – to subscribe to a free newsletter that will keep you up to date on the latest discoveries in space and a revolutionary new interpretation of them.